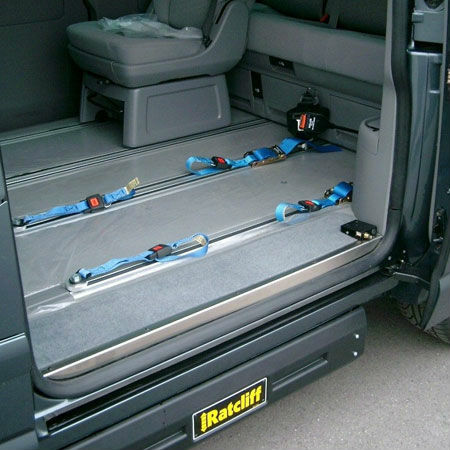 This wheelchair restraint uses an innovative locking system. Electric front restraints are connected to the wheelchair while outside the vehicle. When the wheelchair is in place inside the vehicle, the restraints electrically lock into place. Rear restraints are then connected, and a seat belt secured to ensure safe travel for both the occupant and wheelchair.